The Sunday market is the best place in the world to buy the misleadingly-named Bukhara rugs, which are actually made in Turkmenistan. There is a shop in the Art Gallery which sells traditional Turkmen handicrafts, silver and costumes including the distinctive Turkmen sheepskin hats. The central bazaar in Ashgabat is a good place to buy food and curiosities. Mon-Fri 0900-1800. Bazaars open at dawn. 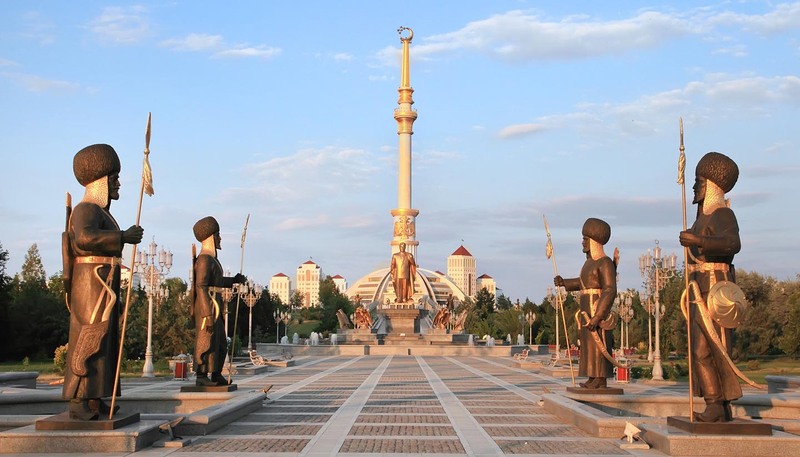 Ashgabat has an opera and ballet theatre, which shows both Russian and European works and a drama theatre. There are also a few restaurants offering dancing.